My first day of classes at Tarleton State University, professors in every class asked students to introduce themselves and where they’re from. Inevitably, my introduction would be met with the typical questions. You guessed it. I was born and raised in California and the obvious stereotypes did not surprise me when I decided to move to the great state of Texas. 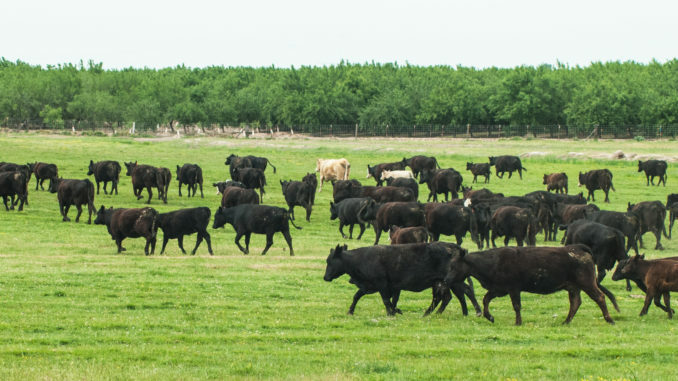 Texas is the epitome of farming and ranching. Yes, while California is known for Disneyland, Hollywood, beaches, and movie stars, it is also known as the Bread Basket of the World! Because of fertile soil, mild climate, and (usually) plenty of spring rains, California grows over 450 different crops, many of which are exclusively grown in the Golden State. We are the nation’s leading producer of processed tomatoes (94 percent of production), wine, (90 percent), strawberries (83 percent), olives (80 percent), and is currently ranked No. 1 in dairy (though Wisconsin always gives us a run for our money).